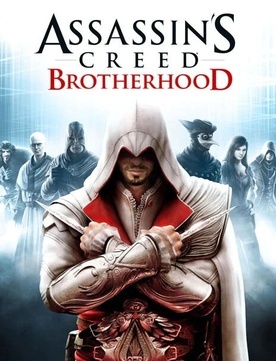 Assassin's Creed: Brotherhood is an action packed adventure game based in an open world map. Set in the past, it is a great game if you want the freedom of an open world game but also the story of a great game. The map is so big it would take ages to get from one end to the other, but dont worry you have your very own horse to call on whenever you need it, wherever. It travels twice as fast as running.Although it is a 15 it does not contain any gory violence and has no bad language at all. I would recommend this game to ages 12 and up.